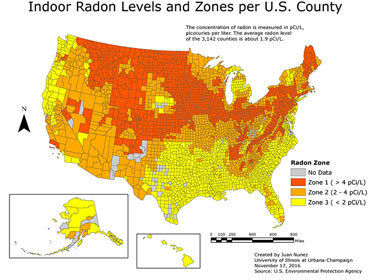 The first step to protect yourself and your family is to check the concentration of radon in the home. I provide radon tests using specialized equipment to give you an accurate measurement of radon concentration levels. If the radon measurement is greater than 4 picocuries per liter, then it is recommended that you install a radon mitigation system. The most common radon mitigation systems use a fan to pull in radon from beneath the house, and vent it outdoors where it is quickly diluted to safe levels. 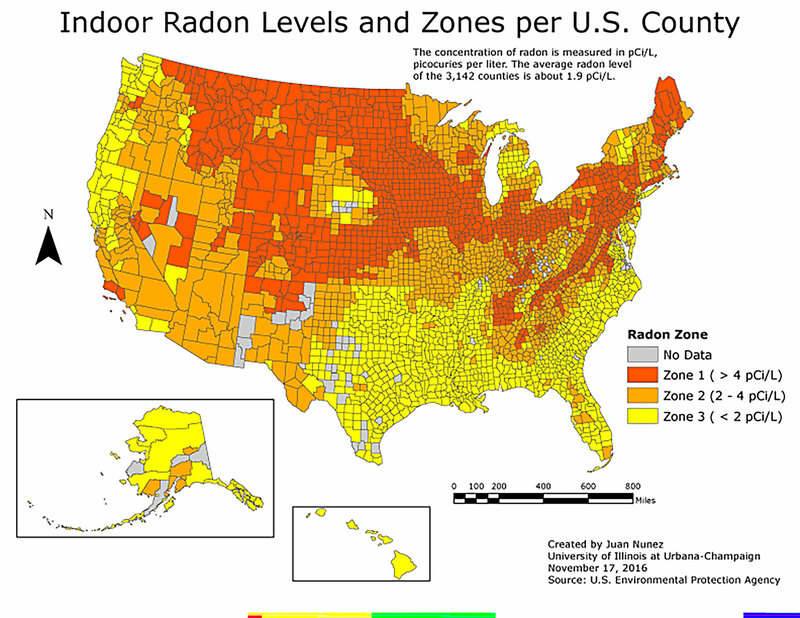 On The Go North provides radon testing in Oneida, Vilas and surrounding Counties including Minocqua, Eagle River, Rhinelander, Park Falls, Tomahawk, and surrounding communities. Not sure if that's you? Give me a call at (715) 605-2034 or send me an email. The only way to know whether or not radon poses a danger to you and your family is to have a radon test performed by a certified inspector. Schedule your test now or give me a call at (715) 605-2034.